mobile drug and alcohol testing available for adelaide and south australian country workplaces! Adelaide Safety Training provides onsite drug and alcohol testing to a range of large and small businesses Australia-wide. We can also offer a ‘drop-in’ drug and alcohol testing service at an external location, for individual tests – e.g. those employees requiring written clearance before going on-site. Our nationally accredited professional Drug and Alcohol Screening Officers are available to test factory workers, mining site employees, construction workers, truck drivers, airport staff, contract workers and all other staff in safety-sensitive roles. All of our testers are professionals – Specialists in the field and all with REAL-LIFE EXPERIENCE! Onsite urine testing for the 5 drugs listed under AS/NZS4308:2008 (Opiates, Cocaine, Amphetamines, Benzodiazepines (prescription drugs), Marijuana (THC) with the addition of synthetic Marijuana. Onsite oral (saliva) testing for 5 drugs listed under AS4760:2006 (Opiates, Cocaine, Amphetamines, Methamphetamines, Marijuana (THC) with the addition of synthetic Marijuana. Instant results (only 2 – 3 minutes) and paperwork provided on the day of testing! Our professional and sensitive testing staff are all Nationally Accredited Drug Screening Officers under the latest Australian Standards AS/NZS4308:2008 & AS4760:2006. They have completed a comprehensive pathology training course in the exact procedure to follow under the Australian Standards. Therefore, you can be assured that if any of your staff legally challenge the results, our procedure will not be questioned. How long does it take to perform the testing? 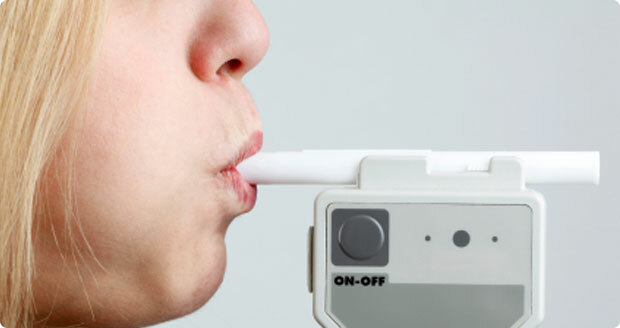 Alcohol breathalyser testing takes an additional 1 minute! How often should we perform testing on our staff? The aim of drug and alcohol screening in a workplace is to minimise/eliminate the presence of drugs and alcohol in the work environment. We recommend testing 25-50% of all staff in the initial 3-6 months. You will then be able to gauge the level of drug and alcohol use present in the workplace and devise a testing schedule to suit. The aim is to eventually eliminate drug and alcohol use and provide a safe, drug-free working environment for all employees. The laboratory we use is NATA certified to the latest testing protocols so you can be assured of quality confirmatory testing. If you’re interested in our workplace drug and alcohol testing courses in Adelaide, you might also find our fire safety training course and first aid training course beneficial for the safety of your workplace. Book Adelaide First Aid Course Today!